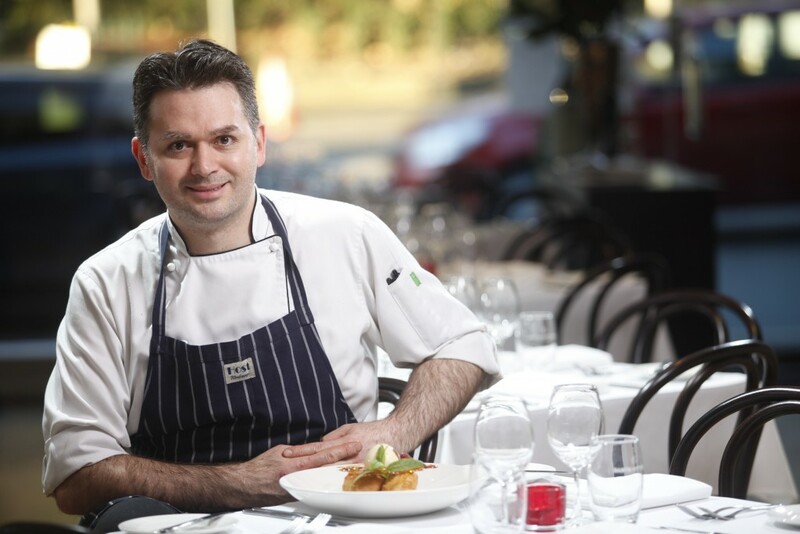 Café Lyon’s owner and Chef de Cuisine, Rainer Korobacz has over 25 years experience, having worked in some of the finest restaurants throughout Europe, Canada, New Zealand and Australia; most recently as the Executive Chef at Berowra Waters Inn, as well as the famed Forty One Restaurant – Sydney. Rainer’s extensive experience, exceptional technique and passion for food shines through in the dishes he creates. Rainer and his team look forward to sharing their great quality bistro food with you, on your next visit to Café Lyon. Café Lyon has been inspired by the humble neo-bistro’s that have been flourishing in the various arrondissements of Paris, and of course, the traditional Bouchon’s of Lyon. Café Lyon brings you together the best of these inspirations with a fresh, contemporary twist to suit the beautiful, local produce that is made available to us. It’s all about great bistro food and wine, efficient and friendly service, and an enjoyable, casual dining experience. The cosy, informal ambience and modest prices of a bistro, but with higher calibre cooking – the French call them ‘neo-bistros’, and Café Lyon brings a contemporary play on the concept to the North Shore. Step inside this stylish Sydney restaurant and those neighbourhood eateries of Paris and bouchons of Lyon don’t feel far away. Chocolate banquettes line one wall and wine bottles another; genial waiters weave between tables of diners immersed in food, wine and conversation. In typical bistro fashion, Café Lyon offers an ever changing menu, blending classic bistro fare with refined technique and presentation: Citrus cured salmon teamed with celeriac remoulade & crispy prawn beignet, perhaps, or tender pork loin with cider braised apples, red cabbage & grain mustard jus. Cafe Lyon regularly holds special events – such as Monthly Wine Makers’ dinners, where Rainer works with visiting Wine Makers to come up with a perfectly matched degustation/wine night. The Wine Maker talks you through the wines that you will be drinking that evening. They have been extremely popular events, and we have had the pleasure of working with Lehmann Wines, Moet & Hennessy Australia and Mt Langi Wines just to name a few. We also hold regular “Local’s Specials” for Lindfield locals to come and dine at a reduced price. Keep an eye out on Cafe Lyon Lindfield’s Facebook page, or our website for more information.